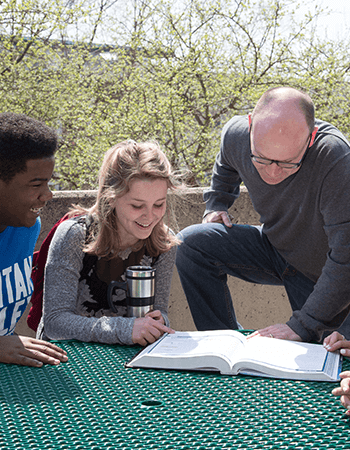 The Center for Teaching, Learning & Scholarship (CTLS) at Raritan Valley Community College is an academic and professional resource for the college community. The CTLS supports the growth of faculty as educators, scholars of teaching and learning, and experts in their fields. Prioritizing our College’s mission as an academic institution, the CTLS generates excitement about teaching, and supports scholarly activity. Through innovative programming, sharing of resources, and collegial dialogue, the CTLS enhances our shared educational community and has a broad impact both on and beyond our campus. Promote collaboration across disciplines, and between fulltime and adjunct faculty. Advance the discussion and implementation of theoretical and practical pedagogical practices. Provide support and training for the use of cutting edge instructional technology in the curriculum. Serve as the primary source for faculty development programming and professional development activities, with emphasis on teaching effectiveness. provide opportunities for faculty to pursue scholarly activities, collaborate on research projects, and to share the results of their scholarship. Respond to new and emerging ideas and trends in higher education. Provide inclusive campus-wide access to a resource-rich website. Foster a safe space for democratic, productive dialogue between all members of the campus community informed by scholarship and experience.